In the Piemonte Region of Italy, the Nebbiolo grape gives birth to the “Wine of Kings and King of Wines” : Barolo! Rich, deep-colored and long-lived, our master blenders have found just the right combination of premium California vinifera grapes to duplicate this brooding wine. Best when aged. Cabernet Sauvignon is quite simply the deepest-colored, elegantly structured complex red wines of the world. Originally, one of the grapes blended into Red Bordeaux, Cabernet Sauvignon, given the amount of tannin in the wine, take a little longer than other lighter wines to show its fruit. Cabernet Sauvignon’s flavors will emerge with a little age. 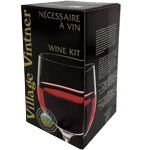 A rich ruby red French style wine, produced from a prized blend of varietals, included Petit Syrah. 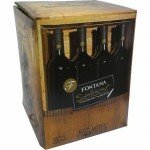 It offers a superbly balanced bouquet and complex flavour of field berries, tannin, and plum. Oak chips recommended. Merlot is very appealing and is currently the wine world’s “Flavor of the Month”. Most adore the pure, silky fruitiness of the grape, while others marvel at the grape’s ability to take on earthy overtones as it ages. Although Merlot is one of the grapes blended into Red Bordeaux in France, in California it does very well where the wine is all lush, seductive fruit. This superb varietal is gaining great popularity, being prized for its intense berry flavour and bouquet. 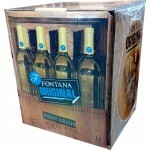 This fine sipping wine will delight you with subtle ripe cherry, blueberry and plum notes which are at their peak while young. 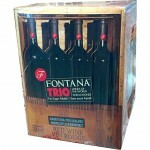 This well-balanced classic Tuscan Italian red wine is very popular. Full-bodied with ruby red color and powerful aromas. Full in the mouth when it’s young, this wine definitely improves with age. Best aged for 6 months, so show some will-power and save a few bottles in the cellar.